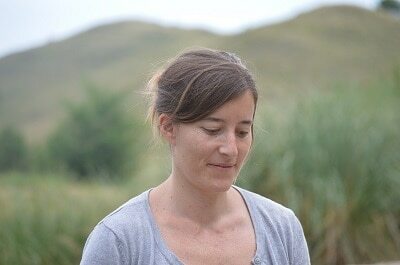 My name is Nuria Pozas, I’m a Birth and Postnatal Doula and Hypnobirthing Instructor based in Reading, Berkshire. Pregnancy and motherhood had a profound effect on my life – back in 2013, pregnant with my son I found about doulas and highly benefited from having this wonderful accompaniment. The love and support I received, together with my birth experience and posterior postnatal weeks helped me discover my true passion. I found myself willing to accompany and support other women in their motherhood journeys, with love, compassion and non judgmental support. ​It was in 2014 that I decided to train with Michel Odent and Liliana Lammers as a Birth and Postnatal Doula (Paramana Doula training) and left my career as a Quality Engineer. 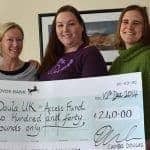 ​Through my work as a doula, I learnt how hypnobirthing can make a difference, so I trained as a hypnobirthing teacher in 2018 and joined The Little Birth Company as a hypnobirthing instructor. Birth Doula, check my services here. Postnatal Doula, check my services here. Hypnobirthing Birth Preparation, check my services here. Please, do not hesitate in contacting me for a initial, no obligation chat so that we can work out together what best suits your needs!